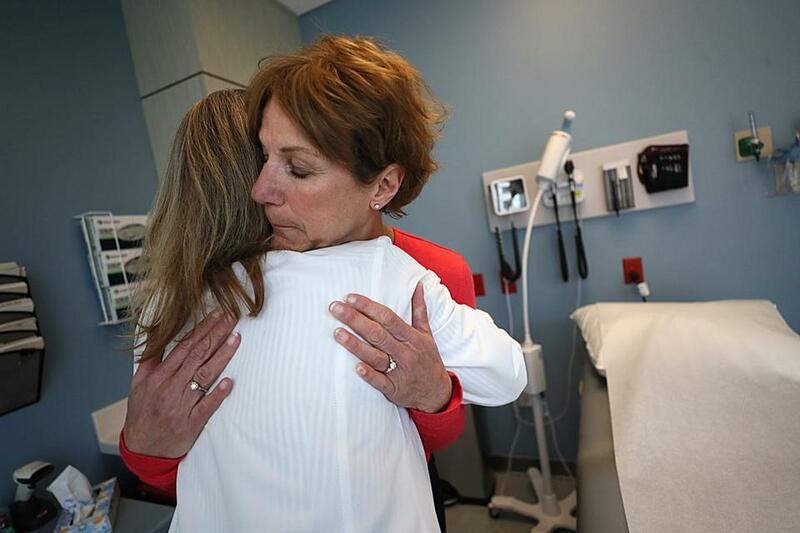 Nurse practitioner Patricia Nutting (back to the camera) hugs Joanne Miele King of Melrose, who is in the Dana-Farber Cancer Institute Adult Survivorship Program. For Mark Vogler, a software designer from Attleboro, undergoing bariatric surgery was only the beginning of his journey to lose weight and keep it off. It’s the supplementary services he received afterward at Newton-Wellesley Hospital that have been key to his postsurgical success. Three years later, he still attends up to four support group meetings a month at Newton-Wellesley and finds additional support from Bariatastic, the smartphone app that the hospital offers to all of its bariatric patients. Boston and its environs are internationally renowned for their medical facilities, which are considered among the best in the world for treating illness, injuries and chronic conditions. But increasingly, medical care goes beyond the examination room or the surgical ward. Through initiatives ranging from mentoring programs to smartphone apps to mindfulness groups, hospitals are finding innovative ways to put the “health” in health care, not only making patients well but helping them to stay that way and providing support for patients far beyond their primary mode of treatment. At South Shore Hospital and Milford Regional Medical Center, nurse practitioner Patricia Nutting works with patients long after their initial cancer diagnosis and treatment as part of the Dana-Farber Cancer Institute Adult Survivorship Program. Nutting and her colleagues work with cancer survivors through one-on-one sessions and support groups to promote lifestyle behaviors intended to reduce health risks for postcancer patients. The Adult Survivorship Program also deals with psychological issues that might otherwise be overlooked. Joanne Miele King of Melrose was just 46, with two young daughters, when she was diagnosed with breast cancer 11 years ago. Her treatment was successful, and two years ago her oncologist graduated King to the survivorship program, where she began working with Nutting. 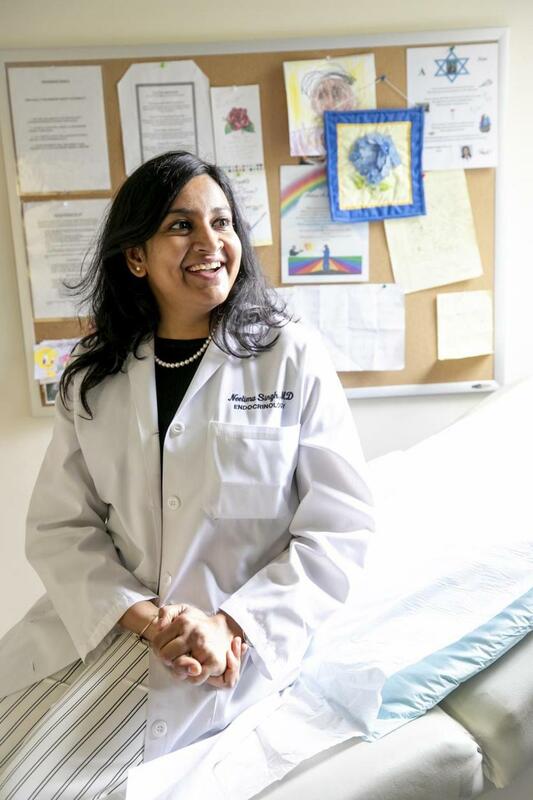 For Dr. Neelima Singh, an endocrinologist at North Shore Medical Center, helping patients stay on track between office visits meant designing a special e-mail system to stay in touch with them. At predetermined intervals, Singh sends out a questionnaire with which she can assess their symptoms, whether she is monitoring them for diabetes, obesity or osteoporosis. Critical information can be relayed without an office appointment. And it’s not only a matter of finding the time to see the doctor. Singh said some patients are more forthcoming by e-mail, when they don’t have to look the physician in the eye while admitting that they haven’t been diligent about following their eating plan or exercising regularly. 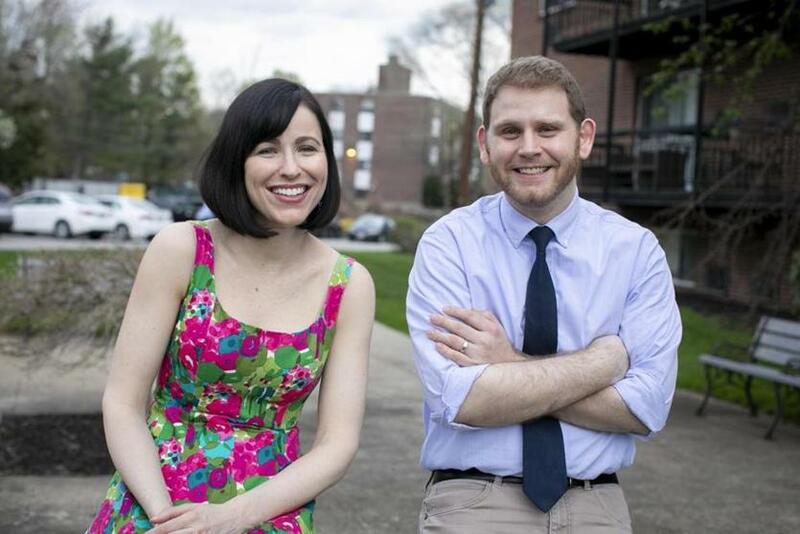 Lesley Meagher of Stoneham, with her husband Dave, praised the mindfulness group that she took part in at the Domar Center for Mind/Body Health, which is affiliated with IVF Boston. For Lesley Meagher, a kindergarten teacher from Stoneham, the treatment she is undergoing at IVF Boston in Waltham is only part of her approach to meeting the challenge of infertility. Just as helpful, she says, is the mindfulness group that she took part in at the Domar Center for Mind/Body Health, which is affiliated with IVF Boston. Not only was she able to talk with other women who were also struggling to conceive, but she learned stress management strategies that have helped her in the workplace and in her personal life. Since completing the 10-week workshop, “I try to meditate every day and be mindful. I exercise. I practice gratitude,” she said. In fact, Meagher is passing it forward, serving now as a peer counselor to other women at the Domar Center. Emerson Hospital in Concord offers its patients and the greater community a host of wellness options at its recently opened Steinberg Wellness Center for Mind and Body — from yoga and Pilates to smoking cessation. The hospital sends its wellness professionals into the community as well. Pam Vlahakis, a registered dietitian with Emerson Hospital, has been traveling to fire stations in the region to offer workshops on nutrition and stress management. Recently she worked with firefighters in both Maynard and Weston, offering a four-week course on nutritional awareness.